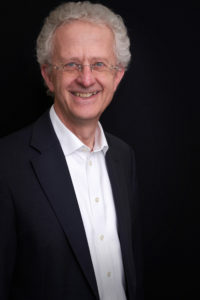 Chairman of the working group “Innovation Management” of the Schmalenbach Gesellschaft für Betriebswirtschaftslehre e.V. Zeng, M.A., Jahn, R., Koller, H., Gnadt, F. (2018): Community-based Foresight: Using Online Communities at the Front End of Foresight, Proceedings of the 25th Innovation and Product Development Management Conference, Porto, Portugal, June 10-13, 2018. ISSN 1998-7374. Jahn, R., Koller, H. (in press): Foresight as a facilitator for innovative capability and organizational adaptability. Insights from a family firm in the HVAC industry. In: Schreiber, D. and Berge, Z. (Eds.). Futures thinking and organizational policy: Case studies for managing rapid change in technology, globalization and workforce diversity. Bern: Palgrave-Macmillan. ISBN-10: 3319949225, ISBN-13: 978-3319949222. Due: September 2018. Jahn, R., Koller, H., Zeng, M.A. (2018): Collaborative foresight � Insights from a renewable energy cluster in Germany, Book of Abstracts of the 19th Futures Conference by Finland Futures Research Centre �Energizing Futures�, Turku, Finland, June 13-14, 2018. ISBN (print): 978-952-249-500-6, ISBN (pdf): 978-952-249-501-3. Zeng, M.A., Jahn, R., Koller, H., Gnadt, F. (2017): Community-based Foresight: Using Online Communities at the Front End of Foresight, Proceedings of the 4th Annual World Open Innovation Conference, San Francisco, CA, USA, December 13-15, 2017. Zeng, M. A., Koller, H., Jahn, R. (2017): Open Radar Groups: The Integration of Online Communities into Open Foresight Processes. Presented at the 15th Open and User Innovation Conference, Innsbruck, Austria, July 10-12, 2017. Zeng, M. A., Koller, H., Jahn, R. (2017): Open Radar Groups: The Integration of Online Communities into Open Foresight Processes. Proceedings of the 24th Innovation and Product Development Management Conference, Reykjavik, Iceland, June 11-13, 2017. ISSN 1998-7374. Jahn, R. / Koller, H. / Zeng, M. A. (2017): Designing the Future – Using Design Thinking for Scenario Technique. Presented at the 24th IPDMC at Reykjavik University, Iceland, June 11-13, 2017. Zeng, M. A., Dennstedt, B., Koller, H. (2016): Democratizing Journalism – How User-Generated Content and User Communities Affect Publishers’ Business Models. Creativity and Innovation Management, 25(4), 536-551. Andresen, F., Koller, H., Kreutzmann, A., & Schulte, B. (2016): Self-Organized Knowledge Creation: Communities of Practice as Manifestations of Dynamic Capabilities. Proceedings of the 17th European Conference on Knowledge Management, Belfast, UK, 01.-02. September 2016. ISBN 978-1-911218-02-9. Kreutzmann, A., Koller, H., Andresen, F., & Schulte, B. (2016): Communities of Practice: Enabler of Organizational Knowledge Creation? Proceedings of the 17th European Conference on Knowledge Management, Belfast, UK, 01.-02. September 2016. ISBN 978-1-911218-02-9. Nowak, K., Koller, H. , Gross, D.-G., Andresen, F., Kreutzmann, A. & Schulte, B. (2016): Influence of Moderation on Communication in Communities of Practice in Hierarchical Organizations. Proceedings of the 17th European Conference on Knowledge Management, Belfast, UK, 01.-02. September 2016. ISBN 978-1-911218-02-9. Schulte, B., Koller, H. , Andresen, F., & Kreutzmann, A. (2016). How to Manage the Unmanageable? Leadership in Coping with Communities of Practice. Proceedings of the 17th European Conference on Knowledge Management, Belfast, UK, 01.-02. September 2016. ISBN 978-1-911218-02-9. Andresen, F., Koller, H. , Kreutzmann, A., & Schulte, B. (2016): Modeling of Self-organized Structure and Culture Creation within Communities of Practice. Presented at the 76th Annual Meeting of the Academy of Management Conference, Anaheim, CA, USA, 05.-09. August 2016. Schulte, B., Koller, H. , Andresen, F., & Kreutzmann, A. (2016). The Conjunction between Communities of Practice and their host Organization – A cultural Perspective. Presented at the 76th Annual Meeting of the Academy of Management Conference, Anaheim, CA, USA, 5.-9. August 2016. Andresen, F., Koller, H. , Kreutzmann, A., & Schulte, B. (2016): Understanding Core Principles of Communities: Shared Mental Models and Transactive Memory Systems as Preconditions for Self-organized Coordination. Presented at the 14th Open and User Innovation Conference, Boston, USA, 01.-03. August 2016. Kreutzmann, A., Koller, H. , Andresen, F., & Schulte, B. (2016): Communities of Practice as Loci of Unrecognized Lead Users. Presented at the 14th Open and User Innovation Conference, Boston, USA, 01.-03. August 2016. Andresen, F., Schulte, B, Koller, H. , & Kreutzmann, A. (2016): The Informal Machine oft he Company: Communities of Practice as a Self-organized Source of Flexible Adaptation. Presented at the 32nd European Group for Organizational Studies Colloquium, Naples, Italy, 07.-09. July 2016. Kreutzmann, A., Koller, H. , Andresen, F., & Schulte, B. (2016): Communities of Practice – Vibrant Sources of Innovative Knowledge? Proceedings of the 23rd Innovation and Product Development Management Conference, Glasgow, UK June 12.-14., 2016. ISSN 1998-7374. Andresen, F., Koller, H. , Kreutzmann, A., & Schulte, B. (2016): Making Sense of the Informal: Conceptualization of a Model of Self-organizing Structure and Culture Creation within Communities of Practice. Proceedings of the 16th European Academy of Management Annual Conference, Paris, France, 01.-04. June 2016. ISSN 2466-7498. Kreutzmann, A., Koller, H. , Andresen, F., & Schulte, B. (2016): Communities of Practice as an Enhancement of Dynamic Capabilities. Proceedings of the 16th European Academy of Management Annual Conference, Paris, France, 01.-04. June 2016. ISSN 2466-7498. Schulte, B., Koller, H. , Andresen, F., & Kreutzmann, A. (2016). Guided by the Light: The Conjunction between Communities of Practice and their host Organization – A cultural Perspective. Proceedings of the 16th European Academy of Management Annual Conference, Paris, France, 1.-4. June 2016. ISSN 2466-7498. Zeng, M. A., Dennstedt, B., Schulte, B., Koller, H. (2015): Democratizing Journalism – How User-Generated Content and User Communities Affect Publishers’ Business Models. Presented at the 13th OUI Meeting at Católica-Lisbon School of Business & Economics, Portugal, July 13-15, 2015. Zeng, M. A., Dennstedt, B., Schulte, B., Koller, H. (2015): Democratizing Journalism – How User-Generated Content and User Communities Affect Publishers’ Business Models. Presented at the 22nd IPDMC at Copenhagen Business School, Denmark, June 15-16, 2015. Koller, H. (2014): Communities in the Federal Armed Forces, 12. Internationale Open and User Innovation (OUI) Konferenz an der Harvard Business School in Cambridge (USA), 28.-30. Juli 2014. Dennstedt, B./ Koller, H. (2014): Business Model Innovations in the Digital Publishing Industry, 21. IPDMC 2014 in Limerick (IRL), 15.-17. Juni 2014. Groß, D.-P./Koller, H. (2013): Lead User Innovation in the Medical Homecare Industry in Germany, 11. Internationale Open and User Innovation Konferenz in Brighton (UK), 15.-17. Juli 2013. D’Aujourd’hui, V. Y./Koller, H. (2013): Project Emergence at a Corporate Central Research Unit – An Analysis Based on the Strategy Process Theory, 20. IPDMC 2013 in Paris (FR), 24.-25. Juni 2013. Groß, D.-P./Koller, H. (2013): Lead User in the Medical Homecare Industry, 20. IPDMC 2013 in Paris (FR), 24.-25. Juni 2013. Koller, H./ Hölzner, H.M. (2009): Dezentrale integrierte Frühaufklärung (DIF) : Ein neuer Ansatz für Strategische- und Technologiefrühaufklärung im dynamischen Wettbewerb. In: Industrie-Management, 25 (2009), Heft 2, S. 71-74. Langmann, C./Koller, H. (2008): The Use of Management Control Information and Project Performance in R&D Settings – An empirical analysis of the moderating effect of uncertainty, 15. IPDMC 2008 in Hamburg, 30. Juni 30 – 01. Juli 2008. Koller, H./Untiedt, H.M. (2008): Der Einzug der strategischen Planung in die operative Ebene – Reflexionen aus einer Fallstudie zur Technology Intelligence und aus aktuellen Theorien der strategischen Planung. In: Scholz-Reiter, B. (Hrsg. ): Technologiegetriebene Veränderungen der Arbeitswelt, Berlin, S. 191-216. Koller, H./ Langmann, C. (2008): Do Strategic Alliances really matter when it comes to Firm Performance?, 16. IPDMC 2009 in Enschede (NL), 08.-09. Juni 2009. Koller, H./ Untiedt, H.M. (2006): The process dimensions of technology intelligence – Insights of an empirically derived and theoretically reflected alternative for organizational foresight on global markets and dynamic environments. IFSAM Conference 2006 in Berlin (DE), 28.-30. September 2006. Koller, H./ Langmann, C./ Untiedt, H.M. (2006): Das Management von Innovationsnetzwerken in verschiedenen Phasen: Erkenntnisse und offene Forschungsfragen. In: Wojda, F./ Barth, A. (Hrsg.) (2006): Innovative Kooperationsnetzwerke, S. 27-80. Koller, H./ Langmann, C./ Untiedt, H.M. (2006): Management von Innovationsnetzwerken. In: Industrie Management, 22 (2006), Heft 3, S. 23-28. Koller, H./ Untiedt, H.M. (2005): Managing technology intelligence in a turbulent environment: A process- and communication-oriented approach. EURAM Conference 2005 an der TUM School of Management in München, 4.-7. Mai 2005. Koller, H./ Hentschel, M. (2005): Die Bewertung von Intellectual Property Rights : Verfahren, Anwendung, Eignung und ihre Konsequenzen für die Bewertung von intangible Assets. In: Immaterielle Vermögenswerte – Handbuch der intangible Assets, Berlin 2005, S. 299-329. Koller, H. (2003): Erstellung wettbewerbsfähiger Sprachdienstleistungen unter den künftigen Rahmenbedingungen, In: Arntz, R./ Mayer, F./ Reisen, U. (Hrsg.) (2003): Terminologie in Gegenwart und Zukunft, Köln 2003, S. 122-138. Koller, H. (2003): Verfahren zur Beurteilung der Wirtschaftlichkeit von Terminologiearbeit. In: Arntz, R./ Mayer, F./ Reisen, U. (Hrsg.) (2003): Terminologie in Gegenwart und Zukunft, Köln 2003, S. 106-121. Koller, H./ Großmann, D. (2003): Open Source – Enklave für Hacker, neue Form der Produktion oder Herausforderung für die Theorie der Unternehmung. In: Wildemann, H. (Hrsg.) 2003): Moderne Produktionskonzepte für Güter- und Dienstleistungsproduktionen, TCW Transfer-Centrum München 2003, S. 193-271. Koller, H. (2002): Technologiefrühaufklärung. In: Specht, D./Moehrle, M.G. (Hrsg. ): Gabler Lexikon Technologiemanagement, Wiesbaden, S. 343-351. Koller, H. (1998): Gestaltung und Steuerung international verteilter Leistungserstellung bei mittleren Industrieunternehmen. In: Wildemann, H. (Hrsg.) (1998), Innovationen in der Produktionswirtschaft – Produkte, Prozesse, Planung und Steuerung, TCW Transfer-Centrum München 1998, S. 247-289. Reichwald, R./ Koller, H. (1998): “Liebe zur Fabrik” – im internationalen Fertigungsverbund?. In: Heidack, C. (Hrsg.) (1998): FIT durch Veränderung: Festschrift für Dr.-Ing. Eberhard Merz, München/Mering 1998, S. 335-353. Koller, H. (1998): Chancen, Probleme und Ausgestaltung der Unternehmensdezentralisierung. In: Lutz, B. (Hrsg.) (1998): Zukunftsperspektiven industrieller Produktion, Ergebnisse des Expertenkreises “Zukunftsstrategien”, Frankfurt/New York 1998, S. 45-98. Koller, H./ Raithel, U./ Wagner, E. (1998): Internationalisierungsstrategien mittlerer Industrieunternehmen am Standort Deutschland: Ergebnisse einer empirischen Untersuchung. In: Zeitschrift für Betriebswirtschaft (ZfB), 68. Jg. (1998), Heft 2, S. 175-203. Reichwald, R./ Koller, H. (1998): Zur Organisation der Universität der Zukunft: Eine ökonomische Betrachtung aus Sicht der Principal-Agent-Theorie. In: Wissenschaftsmanagement, 4. Jg. (1998), Heft 1, S. 39-49. Reichwald, R./ Koller, H. (1997): Führungsstrukturen und Koordinationsmechanismen in der Universität von morgen. Anmerkungen zu dem Beitrag von Detlef Müller-Böling “Zur Organisationsstruktur von Universitäten”. In: Die Betriebswirtschaft, 57. Jg. (1997). S. 132 – 135. Reichwald, R./ Koller, H. (1996): Die Dezentralisierung als Maßnahme zur Förderung der Lernfähigkeit von Organisationen – Spannungsfelder auf dem Weg zu neuen Innovationsstrategien. In: Bullinger, H.-J. (Hrsg.) (1996): Lernende Organisationen: Konzepte, Methoden, Erfahrungsberichte, Stuttgart 1996, S. 105-153. Koller, H. (1996): Leitbilder für ein marktorientiertes Frühwarnsystem für kleine und mittlere Unternehmen. In: Arbeitsberichte des Lehrstuhls für Allgemeine und Industrielle Betriebswirtschaftslehre der Technischen Universität München, München 1996. Reichwald, R./ Koller, H. (1996): Integration und Dezentralisierung von Unternehmensstrukturen. In: Lutz, B./ Hartmann, M./ Hirsch-Kreinsen, H. (Hrsg.) (1996): Produzieren im 21. Jahrhundert: Herausforderungen für die deutsche Industrie, Frankfurt/New York 1996, S. 225-294. Koller, H. (1994): Verfahren zur Beurteilung der Wirtschaftlichkeit von Terminologiearbeit. In: Arntz, R.,/ Mayer, F./ Reisen, U. (Hrsg.) (1994): Terminologie als Produktivitätsfaktor in volkswirtschaftlicher und betriebswirtschaftlicher Sicht, Köln 1994, S. 79-93. Koller, H. (1994): Die Integration von Textverarbeitung und Datenverarbeitung – Analyse des Bedarfs und seiner Determinanten aus betriebswirtschaftlicher Sicht, Wiesbaden 1994. Picot, A./ Koller, H. (1990): Stichworte “Dokument”, “Dokumentenarchitektur”, “Formular”, “Weiterverarbeitbarkeit”. In: Berger, H./ Blankart, C.H./ Picot, A. (Hrsg. ): Lexikon der Telekommunikationsökonomie, Heidelberg 1990, S. 79-80, 81-83, 123.